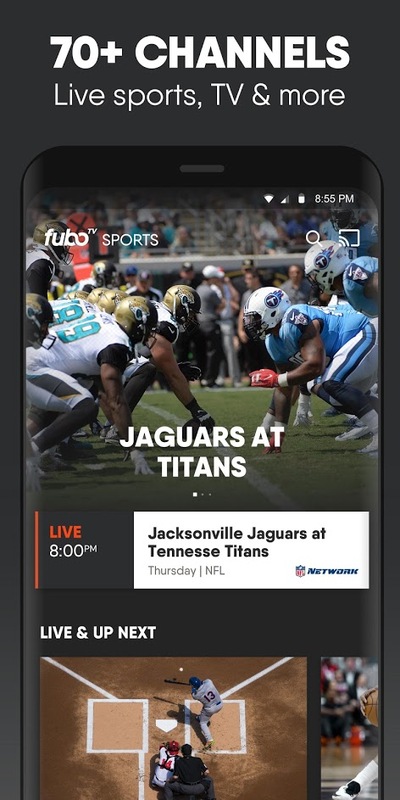 The FuboTV app, brings you instant access to live sports and TV streaming right from your Android device, and you can cast it to any TV with your Chromecast device. What can you expect? Your favorite teams across the top international soccer leagues, NFL, MLB, NBA and NHL, and college games and tournaments you want to see around the year. 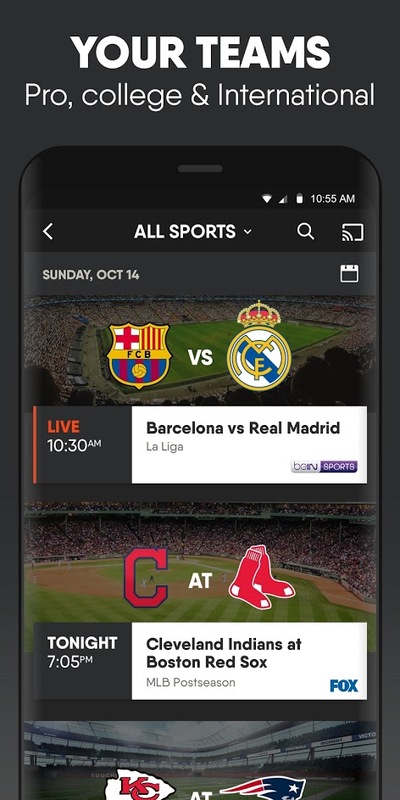 70+ National channels and special coverage of The Olympics, NCAA Football & Basketball, NCAA Big East Basketball Tournament, Golf’s U.S. Open, NASCAR, Daytona 500, UFC, the Triple Crown and more. 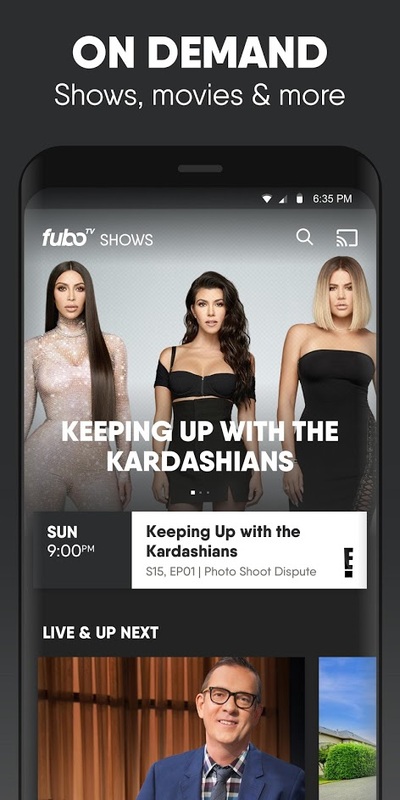 Full access to news and entertainment networks, including A&E, Bravo, CNBC, E!, El Rey Network, FX, MSNBC, History Channel, Lifetime, National Geographic, USA and more. NOTE: The app is free and by subscribing, you get a 7-day trial period.